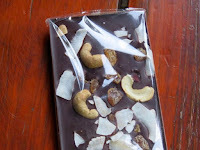 Welcome to Day #2 of Chocolate and Cashews Theme Week. 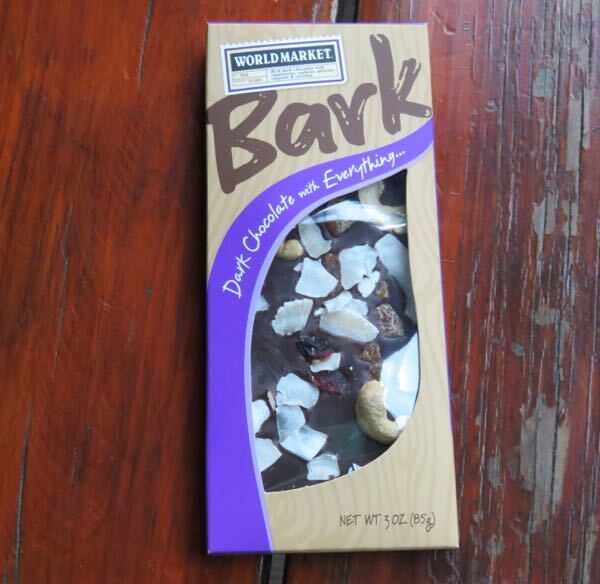 Today's "Bark - Dark Chocolate with Everything..." bar was distributed by Cost Plus, Inc. (Oakland, CA). The "everything" in the title here I'm guessing is derived from the expression "everything but the kitchen sink." The Belgian dark chocolate bark came in rectangular bar form and was adorned with five flavor inclusions: pieces of coconut, cashews, bits of dried cranberries and apricots, and a pinch of chipotle chili powder that gave the chocolate a few bursts of spicy flavor. 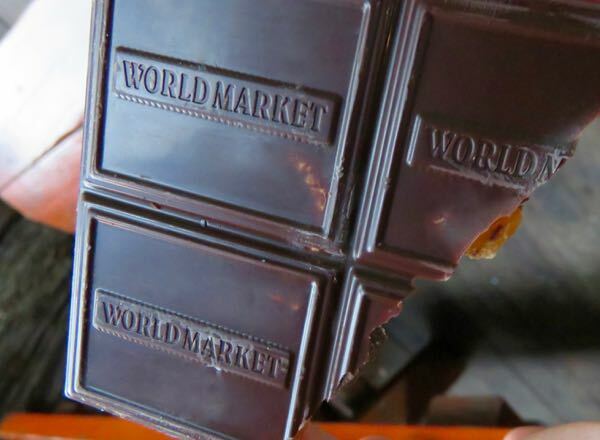 It was a bit of a jumble, but it was interesting to try.